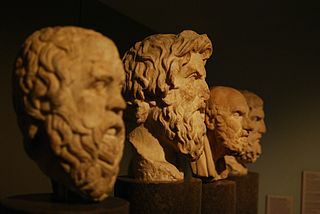 Greek philosophers (Socrates, Antisthenes, Chrysippus, Epicurus). Again I struggled through the complexity of the philosophical language used in the course readings and found myself resorting to other resources (possibly not as reliable) that put things into terms that I could better understand and therefore made it easier to understand the suggested readings. I guess this kind of fits with my theories on learning however. Yes the topic was chosen as part of the class, but in order to make meaning for myself and construct my own knowledge I had to find text that was meaningful and relevant to me. This then helped put other readings in context so I could form a better understanding of the topic. That being said, I feel constructivist theories, whose belief is that knowledge is constructed from personal experiences (Jonassen, 2012 and Ertmer, 1993), best describe my thoughts and strategies on teaching and knowledge construction. As a computer teacher, I use technology with my students daily, but I struggle to find a balance in what I teach and how I teach it. Ideally, I would like to give students more time for discovery but find this difficult at the elementary level because students do not yet have the knowledge about how the technology works. At the elementary level I feel I should give students the basic knowledge of tools such as word processing, presentations, spreadsheets, and using the internet. I currently use an I do. We do. You do. strategy, which allows me first to model a lesson, lets students practice the lesson with my help and the help of classmates, and then lets students try things on their own and even experiment with new tools. I struggle to find a way to balance class time that would allow me to give students the background I feel they need in the basic use of the computer and computer applications and using some of the amazing web 2.0 tools for communication and collaboration. In an effort to counteract this, I have started an afterschool Minecraft Club using MinecraftEDU giving students the opportunity to create and communicate in an open ended world. I have also provided students with access to online accounts for sites like kerpoof, Sploder, and CoasterCrafter, which give students the opportunity to use creativity, processes of design, publishing, and communication with peers. In addition, I have created a Symbaloo webmix with links to web 2.0 tools involving creativity and research that students can access during their time in the media center or from home. I am excited about the prospects of gamification of the classroom and hope to find ways to gamify my class and make more use of games and simulations. Jonassen, D., & Land, S. (2012).Theoretical foundations of learning environments (2nd ed.). New York: Routledge.